ISLAMABAD, Oct 22 (APP):Social media activists, in a self initiated campaign, are all out to sensitize people on road safety measures and abiding traffic rules to ensure rule of law and protection to public lives and properties. In a vigorous campaign, conscious citizens are trying to reach every single individual to educate motorists and road users about the harms of reckless driving and violation of certain traffic laws only meant for their own safety. A slogan of campaign reads “Traffic Ko Tameez Sikhao” (Pay heed to traffic rules). Terming the road safety education, a key challenge in human and fiscal development, a post on Facebook, shared by a citizen highlighted that most of the youngsters ranging from 15 to 29 years (age group) are passing away due to irresponsible attitude and low acquaintance of youth with traffic rules. Another tweet highlighted significance of life, questioning the social media users whether Rs2,000 (cost of a helmet) is more precious than a life. A high court advocate, Zeeshan Zafar Bajwa told APP that he was also going to start an awareness drive on social media, considering it a national responsibility. He appreciated the Punjab government for tightening noose around traffic rules violators by increasing the fine amount and showing zero tolerance. Zeeshan also lauded the decision of Lahore High Court which banned the authorities concerned from registering a vehicle without a traffic licence. 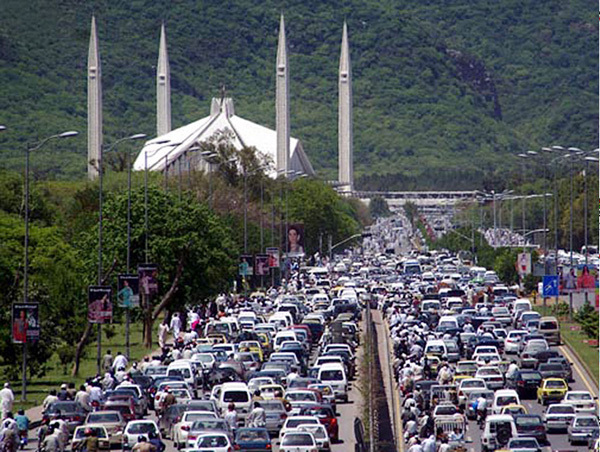 Islamabad Traffic Police (ITP) Senior Superintendent Police (SSP) Furrukh Rashid said the number of social media users had crossed over half of the country’s population and social networks were the best platforms for engaging public and promoting positive behaviour on the roads. Keeping in mind the people’s connectivity with social sites, the SSP said almost all the developed countries were using social networks for creating awareness about traffic rules and using modern techniques to control traffic problems. He said the ITP was also sharing traffic rules and creating road safety awareness on social media sites for sensitizing the motorists, besides arranging walks, holding seminars and sensitization at wheels. National Highways and Motorway Police (NH&MP) SSP Jamil Hashmi said road mishaps were claiming more lives than the terrorist incidents in the country, touching the figure over 15,000 annually. If the authorities concerned did not not take remedial steps, it might become the seventh leading cause of deaths, he added. Psychologist Sundas Ali said the social media played a crucial role in changing people’s opinion and behaviour as its use had increased within a short span of time. It was a best tool for creating awareness among the masses. “When a person find out that another human being of different opinion shares the same post, the former’s belief automatically got strengthened,” she explained. If a social media user shared a video of an accident, his/her friends would certainly tend to adopt precautionary measures, she added. She opined that such campaigns could be more fruitful if those were initiated by celebrities. An Information Technology expert, Usman Haider, urged the public to like such valuable posts as such practice would help spread of the meaningful messages.